“There’s a terrific power to music. You can run any of these pictures and they’d be dragging and boring, but the minute you put music behind them, they have life and vitality they don’t get any other way.” Thus spoke Walt Disney with a mantra that in almost a century of film production has been rigidly applied. From Mickey Mouse’s joyfully whistled tune in Steamboat Bill Jr. through to Frozen’s Let It Go, music has always been one of the key elements of every Disney film. 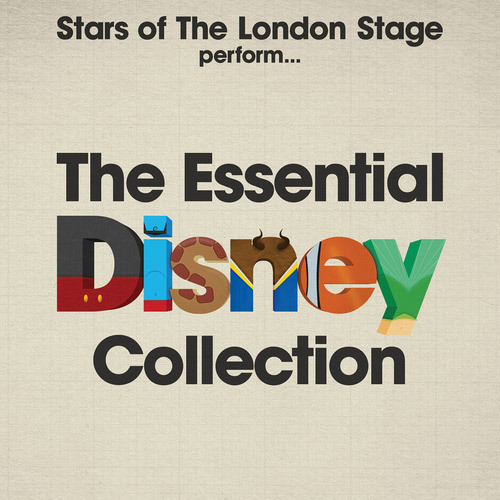 With this release the Stars Of The London Stage pay tribute to 19 of the very best songs from cinema’s greatest animation studio with particular emphasis on the last 25 years. Performers featured include Louise Dearman whose West End roles include Wicked and KIss Me Kate and Helen Hobson who has appeared in Mamma Mia! and Aspects Of Love.